Welcome to my next trip report, covering travel in Lufthansa first class, a few airline lounges (including a United Polaris Lounge), a few hotels (including two independent ones), and more! Some of my most memorable trips have been with my dad. Long time readers may remember when I took him on an around the world first class trip for his last “round” birthday, which was one of my favorite trips ever. While I haven’t been able to top that trip, I continue to enjoy traveling with my dad, though it has been a while since we’ve taken a big international trip. We were supposed to go on one last September to Slovakia and Macedonia. However, my dad lives in Florida and there was a hurricane at the time, so we had to reschedule the trip. Since the tickets had been booked through Aeroplan, we had a year from the date of issue to reuse them, meaning that we were coming up on the deadline, which is why we planned this trip for August. 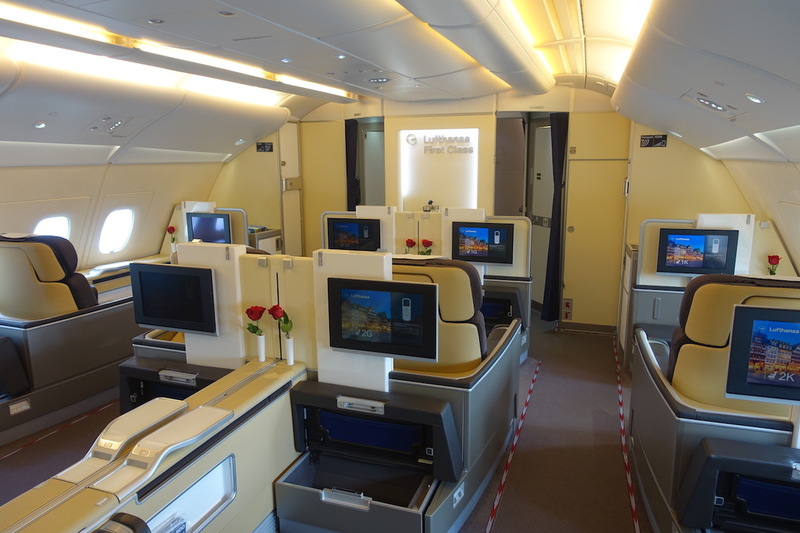 My dad loves flying Lufthansa first class (who doesn’t? ), so as much as I would have loved to review some more unusual airlines, I wanted to make this trip as good as possible for my dad. Lufthansa only makes first class award seats available to partner airlines at most 15 days out, so this entire trip was planned pretty last minute. Based on looking at availability for US gateways, we ended up flying out of Houston. This worked out great, since I’ve been wanting to review the new United Polaris Lounge here. As you can see, we still had to book a few flights separately, including from Tallinn to Riga, and from Riga to Frankfurt. While Tallinn and Riga are only 175 miles apart, it’s surprisingly time consuming to travel between the two by car or train, so we booked a flight on AirBaltic. Then since my dad is from Frankfurt originally, he wanted to spend a day there on the return. While I would have preferred to take the evening flight and book the Riga to Frankfurt segment on the same ticket as the Frankfurt to Boston segment, there was no award availability on that flight. As soon as I saw the Lufthansa award space I ticketed our flights, but what I hadn’t considered is that we’d be in both Tallinn and Riga during some very major events. Specifically, we were in Tallinn the same day as the Super Cup, and in Riga over the country’s 100th anniversary. In Tallinn I would have liked to stay at Hotel Telegraaf, the Marriott Autograph Collection hotel. However, it was sold out. Fortunately there was availability at the Hilton Tallinn, which I had heard pretty good things about. 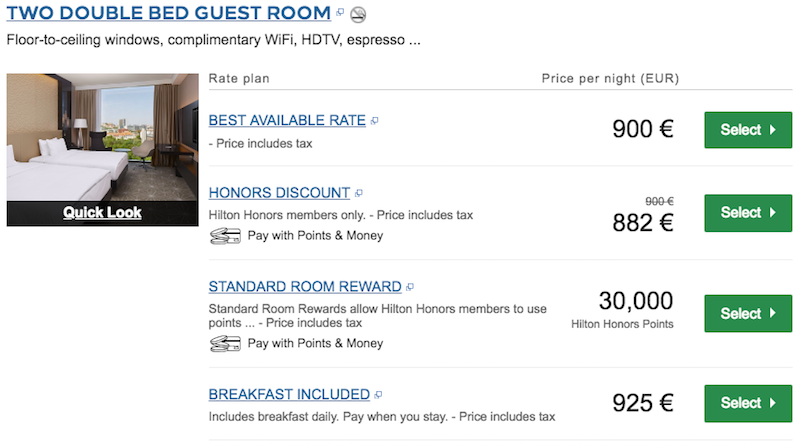 The first night would have been ridiculously expensive, so I redeemed 30,000 Honors points per night, which was a steal compared to the paid rate of 882EUR. That was one of my best uses of Hilton Honors points ever. Then for the next two nights I booked a paid rate of 104EUR per night, which seemed much more reasonable. Then for our two nights in Riga I decided to book the Grand Palace Hotel, which is a Virtuoso property. The rate through Virtuoso was 195EUR per night, and for that we received a room upgrade subject to availability, complimentary breakfast, and a dinner for two once during our stay. Lastly in Frankfurt I also decided to try something new. Villa Kennedy is generally regarded as one of Frankfurt’s best hotels, and since we had over 24 hours in the city, it seemed like a good opportunity to try it. 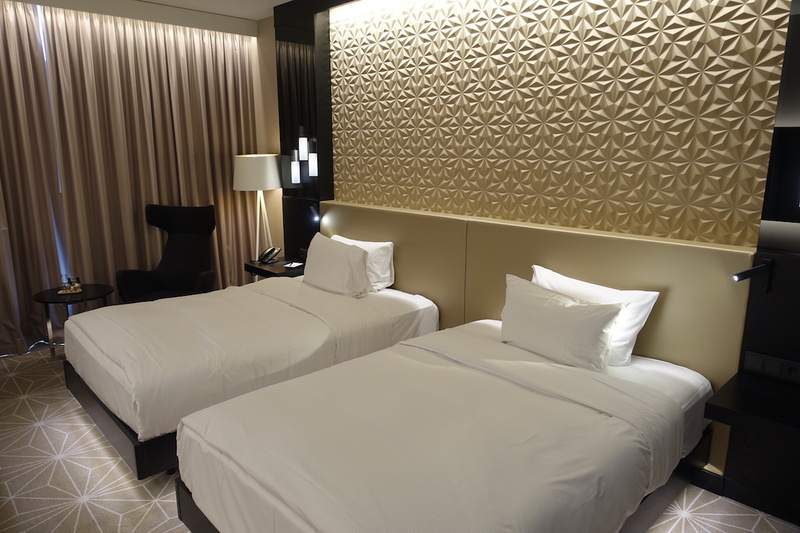 I also booked this through Virtuoso at a rate of 275EUR for our one night stay, and that came with a room upgrade subject to availability, complimentary breakfast, and an 85EUR food & beverage credit. My dad and I always have fun when traveling together, and this trip was no exception. While the flights themselves may not be that exciting, I had interesting experiences at all three hotels, I was excited to check out the Polaris Lounge Houston, and I loved both Tallinn and Riga. While I won’t be covering the destinations as such in this review, check out the posts I wrote about my thoughts on Tallinn and Riga, if you’re interested. 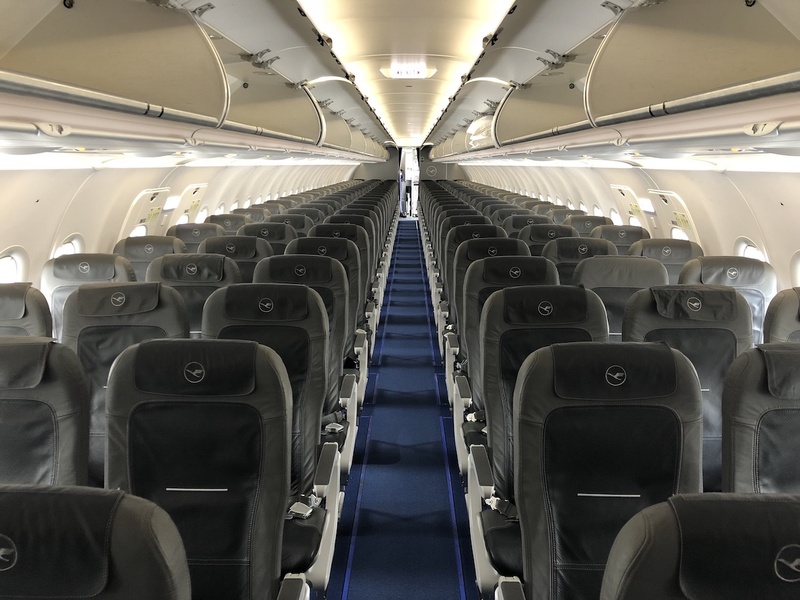 I’ll also be skipping a couple of segments, like the review of the flight from Riga to Frankfurt (I think one Lufthansa intra-Europe review is sufficient), and a review of the Lufthansa First Class Terminal, which I’ve reviewed before. You weren’t there for the 100th anniversary. Latvia first gained it independence on November 18, 1918. You should have flown AirBaltic’s CS300/A220 on that economy flight. I don’t believe you have ever done a A220 review. Disappointed that you’re skipping the LH first class terminal review (since last one is 2 years ago and I would love to see the changes), but I’m otherwise looking forward to this. @Duane At least in Estonia (which is also 100 this year), they are having 100th anniversary events throughout the year. The fact that you and your father enjoy traveling together says something about your relationship. Thanks for sharing the experience! Just visited Riga 3 days ago. I stayed at the Grand Kempinski and it was absolutely amazing. Top 5 hotel I have ever stayed at. I am reading your blog for some time now, and while I think you are becoming a bit arogant (no offense ;)), a huge respect for things you are doing for your dad. @Thomas — You can’t just say “no offense” after something obviously offensive, as if that offsets it. How are the women there? Well fed, good teeth, nice wide breeding hips? We rely on you to tell us more than just the stupid champagne brand. Right now Im with my dad in Australia. He is 76 and loves Emirates first. Departed in cairo, stopped in dxb, than SE Asia and back home to Europe. If you have health, time and money, grab your parents and travel with them. The transparency about how you paid for travel is great. I get that the TLL-RIX flight is way faster than ground transportation, but it’s almost a shame you didn’t get to try out the Lux Express bus service. Europe has seen some really innovative bus carriers recently, but this one is among the very few that provide true business class on board, with spacious 1-1 seating, seatback entertainment, power ports and wi-fi. The trip takes just under five hours and, having done it twice last year, I consider it quite competitive – especially considering the price difference. Hi Ben – did Hilton give you issues w the 3 nights on two bookings? Did you have to change rooms or could you link the two? We have always transited through Frankfurt, with a good healthy, lengthy stay at the first class terminal, but we are considering an overnight in Frankfurt for our next visit. If we were to xperience the fullest of the first class terminal in FRA, should we arrive by taxi while staying in FRA, a hotel arranged transport? Rental car? Something else? Stupid, small details…rather than schlepping by the cab stand, this opportunity presents the chance of a new experience. you are my hero! Want to know the same thing. Is this a destination to lay down pipe? Is that map correct? It says you went to Nairobi and Kigali but that’s not what you mentioned in the article. Thank you as always I love reading!! !